Today is a very exciting day. Although I’m not saying my entire life has been leading up to this moment – being released by a major publisher in a frenzy of marketing in hard and soft back would be very nice – but it is very exciting to know that lots of people will be able to read my first ever novel for very little money. It’s the bit about lots of people reading it that makes me buzz. However you get hold of the book, in whatever format, just by reading it you get an idea of what was coming out of my head, the emotions, the inner thoughts, the meaning, maybe even imagining what the characters are feeling beyond the words. 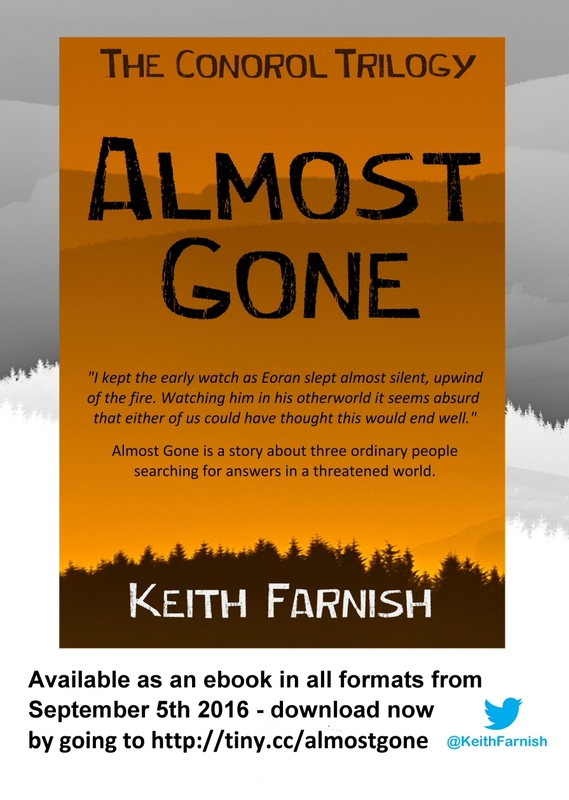 So, if you do read Almost Gone, then thank you, it does make a difference. And there’s the not so small matter of telling other people about it – word of mouth, social media, via reviews and mentions in the most unlikely of places. That means a lot too.